Stickers are cool way to decorate things up. You can apply stickers to walls, laptops, vehicles, or anywhere you like. But what's cooler than that? Artistic Stickers!! Yes, artistic stickers are regular stickers but with a twist of art. 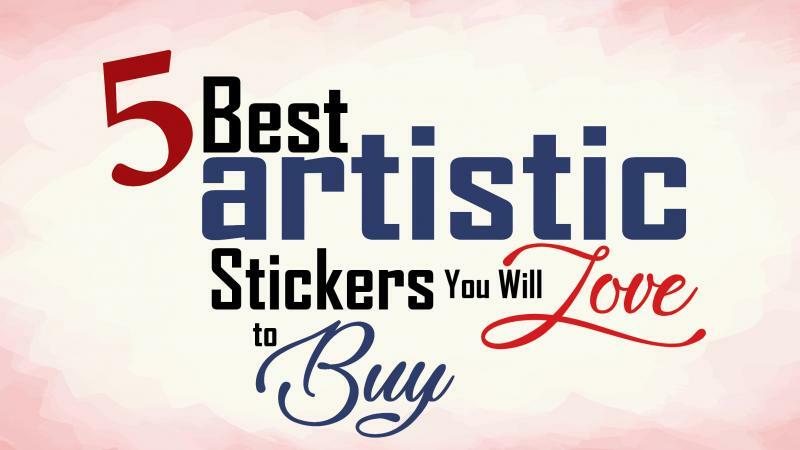 If you are looking for something like that, this article will help you out to buy artistic stickers online. Once you view these stickers, you will get to know that they are filled with motivation and joy. These online stickers enhance your mood and take your mind to the other side of this world. When you look at them, they divert your mind towards their concepts presented. They are just amazing in diverting your mind to their characters. You may just begin to create stories behind the scene. You can imagine that what was happening when the characters were acting like when this painting was made. Creation 10 is a sticker artwork. Its texture attracts so much that you cannot resist watching it again and again. This online sticker attracts viewer to analyze the narrow points in the painting. Creation 10 represents aristocracy, the elite and classy behavior of the buyer. You can get this wonderful painting online. Creation 9 as an artistic sticker truly shows the real image of our society. Lust has a great space in our society and this painting is epic if you want to buy original art online. The images are attractive. The colors are adjusted to go with any color scheme. They are neither too vibrant nor too cool. It is just a perfect combination. You cannot keep away your eyes if you once take a look. The beachside fun is prominent in this modern art online. You will never regret if you buy it once. It is a perfect addition to your cafe, lounge or pool area. To view this modern art online, you can go to ShowFlipper. Creation 8 is one of the most artistic stickers and depicts the difference in gender and class. It is a must buy for your home if your concentration wants tranquility. It has a bit soft palette. The price is very convenient to buy. It will give you immense pleasure if you buy it now. Its colors soothe the eyes an give comfort. The textures are intended to increase the viewer’s attention. Creation 7 gives an immense concept of modern art. In ancient times, men used to draw creatures with faces of animals and the bodies consisted of humans. The fiction grows strong as the time passes seeing this masterpiece. The philosophy shows that there is always a real face behind an artificial one. Creation 4 is the classical looking digital art with cool colors. This is a compulsory article for your comfort zone. I see this painting most beautiful and observable. It compels the viewer to see the tranquility of the life. These artistic stickers are available online for you to buy on ShowFlipper. The sticker artwork here is not too expensive. But it is absolutely amazing just like the expensive ones. As compared to the ancient style, the digital art has revolutionized the field of painting and fine art. The artistic stickers are so much in trend nowadays.